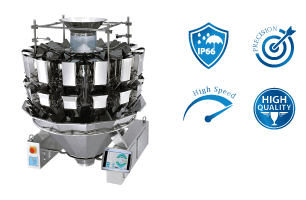 Euroweigh Multihead Weighers are suitable for high speed, precision weighing applications offering accurate weights with minimal product give away. Our Euroweigh range can be integrated into your existing production line or part of a complete bespoke line. It is capable of handling a wide range of free flowing products. © 2019 Target Packaging Systems Ltd.